Everyone is invited to join us for a night of dancing and fellowship as our Sts. 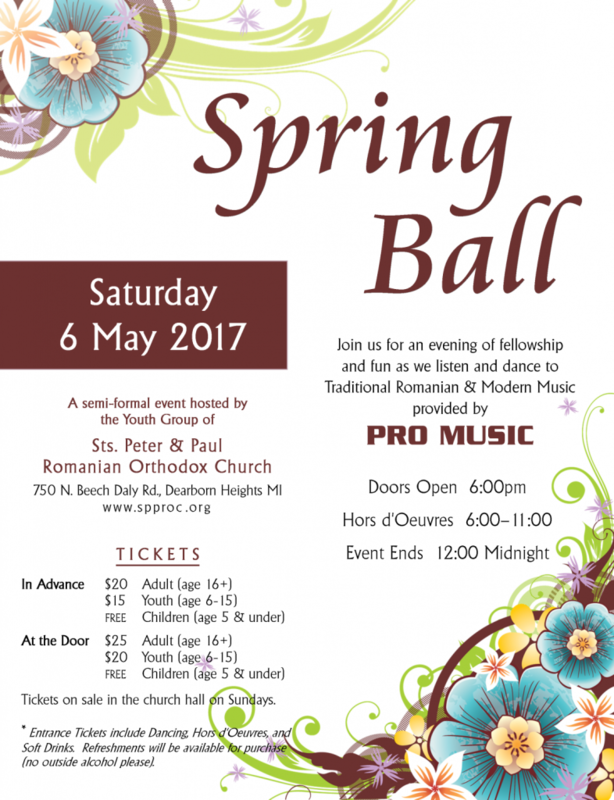 Peter & Paul Youth Group will host their annual semi-formal Spring dance, this year with the theme Spring Ball. This annual event is fun for the whole family. Enjoy Romanian and American music provided by PRO MUSIC and a delicious Hors d’Oeuvres buffet. We invite all of our family and friends to get dressed up and enjoy a nice night out! Tickets are now being sold in the parish hall on Sundays, or at the door. See flyer for details.